And he said, “Little maid, will you wed, wed, wed? Pray what must we have for to eat, eat, eat? Light a fire in the kitchen? Can you feel the fire burning? The pangs of hunger yearning? 1. Wash and seed the lemons. Be sure to remove the lot tracking sticker. Cut the lemon into small pieces. Place all ingredients into a blender, and blend. 15-25 seconds. Rub the chicken inside and out with the mixture. 2. Marinade the chicken over night. 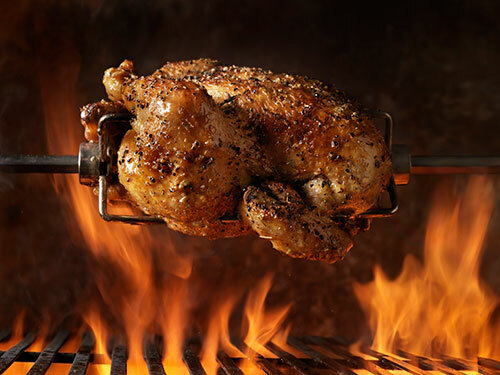 If you have a rotisserie you know what to do next. If not roast the chicken in the oven at 350 and approx 12 min per pound.